I hope I’m not being too premature in saying the the Great Meltdown has begun. 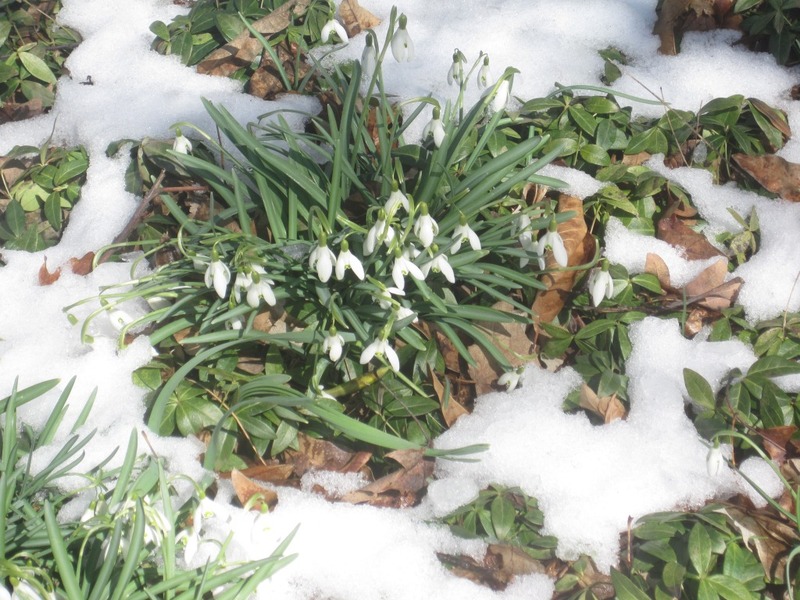 In the past week, as temperatures have risen, the height of the accumulated snow has dropped. That is good news indeed. As long as this pattern is kept at a steady pace, the ground will thaw in time for mid-April planting. Now that day light lingers past the early evening and we officially ring in spring this Saturday, like the rising sap, my gardening spirits are on the ascent. What a wonderful feeling! The light seems brighter and clearer and there is a distinct freshness to the air. Soon the earthy aroma of an awakening world will call us into action. 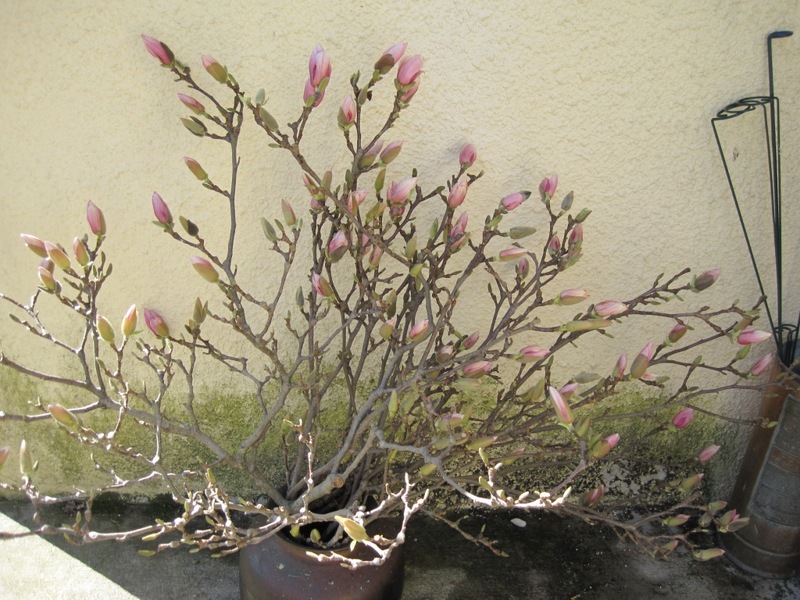 I notice that the magnolia down the street is wearing velvety plump buds in abundance. The birds sound like children being let out from school for the summer – giddily cacophonic. When I took a walk this morning, I had to laugh out loud at the mad chatter. Are they catching up on their winter doings, making plans for nest building, baby raising, food sourcing? I’d so love to know what exactly the excitement is all about. I feel a bit left out. A trip to the local nursery is in order this week. Shipments of pansies have begun arriving and I’m eager to pot some up to get the season started. 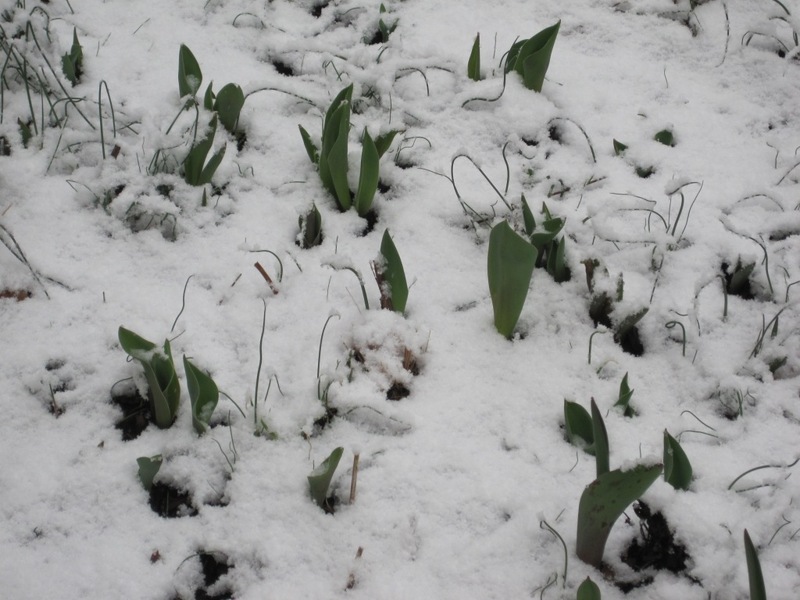 They will be the warm-up act for the early bulbs waiting under the departing snow. 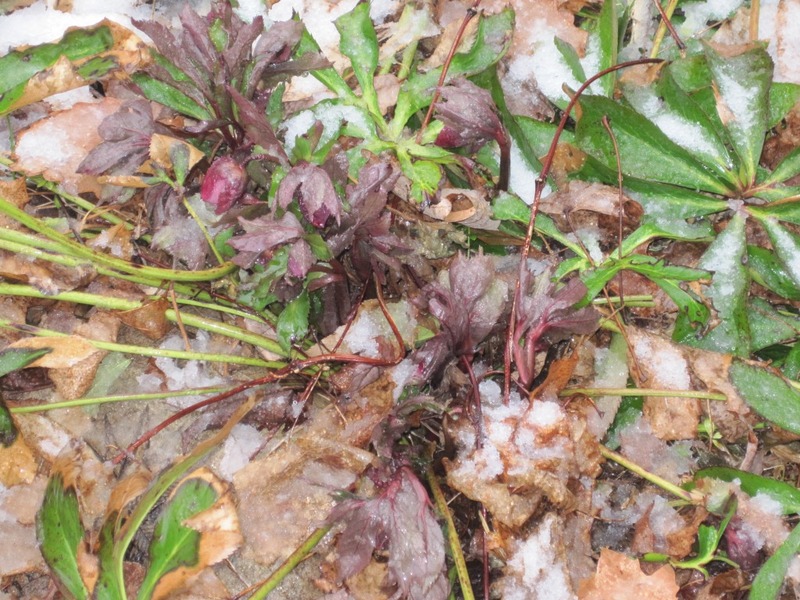 For certain the hellebores are also sporting shy buds that will be coaxed into blooming as soon as the sun smiles on them. 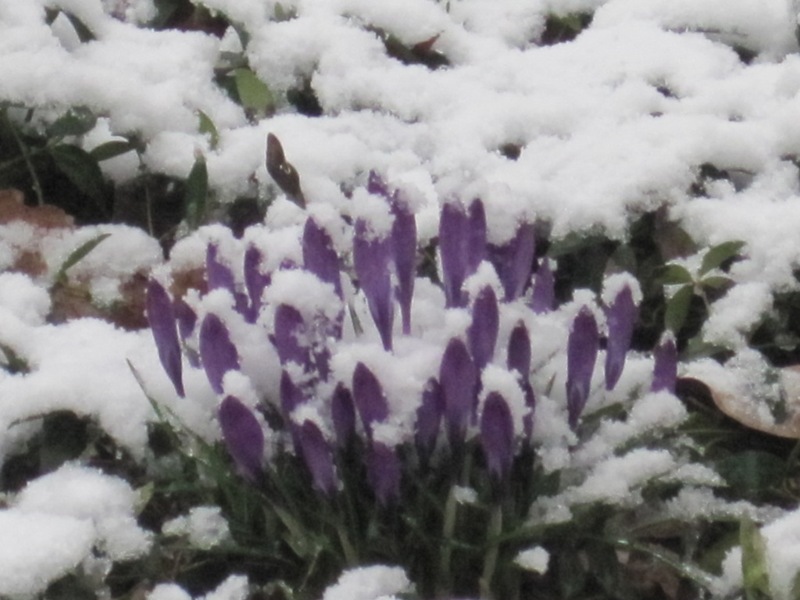 I imagine I can feel the impatience of the crocus and snowdrops trying to push through the still unyielding ground. If the December holidays are a time for peace and joy, then this period of rebirth is one of hope and aspirations. As gardeners, we get to start over. Past transgressions and failures are forgiven if not forgotten. We can try again. All is possible. Although no big projects are in the offing, there is plenty on my to-do list. As eager as I am to get started, I’m savoring these days of promise. When all wishes are realized and no failures are on the horizon. One envisions perfect weather and other conditions. A state of high-mindedness and magnanimity is in place. One feels kind and generous. I’d like to bottle this sense of unbridled optimism. It would fetch me the fortune I require for the champagne dreams I have for my corner of paradise. And for so much more. Sigh. For the moment, I revel in this bliss. It is enough. We are blessed to be gardeners. Happy Spring One And All! Lets do our very best this year. of a newly hatched world.